This modular classroom building addition was completed in 139 days and ready for the first day of school. 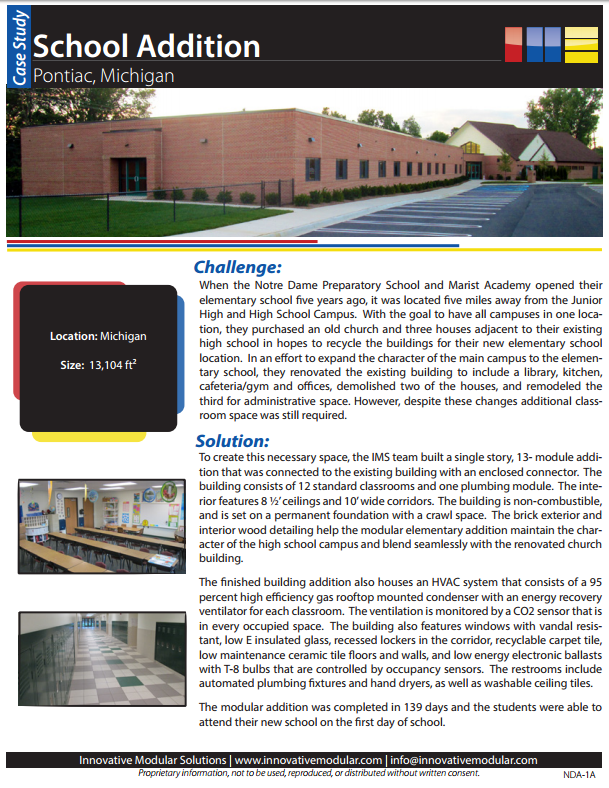 FInd out more by downloading this Modular School Addition Case Study. Just fill out this short form, and this case study is yours.